For at least the previous decade, Joanna Paul had visited Rotorua periodically from her base in Wanganui to draw, paint and photograph in the environs of the Government Gardens and the Blue Baths. Her visit in May this year became her last, because she collapsed while bathing in a thermal pool, and died two days later at Rotorua Hospital on the evening of Thursday 29th in the presence of her husband, family and friends. A Quaker funeral service took place at Wanganui's St Mary's Catholic church on 4th June, and she was buried on the 6th at the Akaroa cemetery alongside her daughter Imogen. Paul was born in Hamilton on 14 December 1945, first child of pioneering booksellers and publishers Blackwood and Janet Paul, who provided for their four daughters an environment wherein literature, art and music were not only commonplace but mattered. 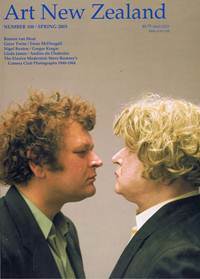 Unusually for the time, this cultural milieu was not merely the window dressing of a social class, but formed the solid platform for an embrace and promotion of the best of New Zealand's contemporary literature, art and music. Being more Bloomsbury than Bauhaus, their commitment to Modernism was broad enough to include figures such as Vanessa Bell and Duncan Grant, Bonnard and Morandi, Joanna's life-long exemplars. She attended Wellington's Marsden College from 1959 until 1962, then Waikato University in 1963, studying History, French and English, subjects which became the warp and weft of her life thereafter. The following seven years were pivotal in her development as an artist: in 1964 she spent a formative year with her family in London, which included studying figure drawing and painting at the Sir John Cass School there - a basis from which her practice never wavered - and a trip to Greece, which reinforced a belief in classical values that sustained her life to the end. On her return to this country in 1965 she studied English and Philosophy at Auckland University, graduating BA in 1968. The transitional nature of this period is perhaps exemplified by the death of her father in 1965 and her becoming a Roman Catholic the following year. In 1967 she enrolled at Elam where her teachers were Colin McCahon, Greer Twiss and Tom Hutchins. Fellow students she remembered particularly were Christine Hellyar, Marte Szirmay and Leon Narbey. She graduated with a Diploma of Fine Arts in 1969. Dorothy Parker once said of Hemingway that he 'avoids New York, for he has the most valuable asset an artist can possess - the fear of what he knows is bad for him'. Throughout her life Paul occupied geographic margins, places the occasion for undistracted work, but places redeemed by inclusion in her work. At a time when proponents of an internationalism scorned any perceived regionalism, Paul simply by-passed the supposed debate by fathoming the barely noticeable local. The first of these places was Port Chalmers in 1970, succeeded by Seacliff in 1971, the year she married Jeffrey Harris, started making her experimental films, and wrote her first serious poems. Two years later the Harrises moved to Wellington for a year, where their first daughter, Ingrid Magdalena (Maggie), was born. In 1974 they settled for several months in remote Okains Bay on Banks Peninsula before moving to Barrys Bay at the head of Akaroa Harbour, where their second child, Imogen Rose, was born in February 1976. She had a heart defect and died at Auckland's Greenlane Hospital the following December. The line 'a shape to part the space' is from a sequence of poems Joanna wrote subsequently and which was published memorably as Imogen by Hawk Press in 1978. Jeffrey Harris was awarded the Frances Hodgkins Fellowship for 1977, so the family moved to Dunedin and later acquired a house at Beta Street. At this time Joanna and Maggie spent three months living at another marginal settlement, Paekakariki. The following year their son Felix was born in Dunedin. Over the following two years Joanna and the children spent extended periods of time in Auckland and the Marlborough Sounds. In 1982 the Harrises' last child, Pascal, was born. As Cyril Connolly observed in his Enemies of Promise: 'There is no more sombre enemy of good art than the pram in the hall.' Although Paul faced enormous practical difficulties in the conflicting roles of mother, wife and artist - some of their consequences surviving her death - characteristically she turned the adversity to advantage, because the paintings and drawings of her children (to say nothing of the poems) remain among the most memorable of her works. Joanna Paul herself was awarded the Frances Hodgkins Fellowship in 1983, an overdue opportunity for her to work on her own account and timely recognition of her as an independent artist. The following year when her marriage failed she moved with the children to Wellington for several months before settling in Wanganui for reasons ranging from economic viability, to geographic convenience and its architectural and cultural heritage. Apart from brief periods working in Oamaru, Invercargill and, latterly, the Coromandel, Wanganui remained her home. 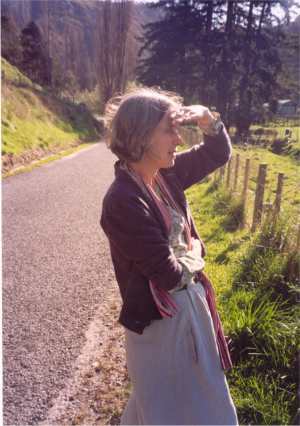 Over the past two decades she exhibited throughout the country, but perhaps most regularly in Wellington, where, in 1993, she took up the Rita Angus Residency. In 1989 the Sarjeant Gallery mounted the only major survey in her career - A Chronology - which was accompanied by a show of her Wanganui works entitled Resisting Foreclosure. In 2000, through their involvement with the Quaker community, she met Palmerston North architect Peter Harrison, and entered what appeared to be the happiest period of her life. They married earlier this year on February 25th. Resisting foreclosure is a potent phrase in respect of Paul's work and practice. In terms of late Modernism - the movement she was schooled in - and early Postmodernism - the movement she grew in - she was hard to pin down, especially with regard to an artist's conventional career and, more latterly, careerism. For instance, in a period of growing professionalism in the arts, she insisted, typically perversely, on the older meaning of the term 'amateur', the classicist in her refusing to detach from it an essential association with love. It was a purist refusal too: she worked for love-not for money, neither for status nor fame. And so, during her public life as an artist - just on 34 years - Paul existed on the margins of the art world: where she lived, how she practised, and what she believed in. In Modernist practice, a focus on and expertise in drawing and watercolour still accrued to it something of an aura of the 'feminine accomplishment' of the eighteenth and nineteenth centuries. But Paul never showed much interest in the grand statement so beloved of Modernism, and consequently paid a certain price critically and commercially. Understatement was her natural milieu. Counting against her, too, was a perceived dilution of her focus in the myriad arenas of her activity: painting and drawing, photography, film-making, poetry, publishing, architectural history and critical writing, as well as related commitment to the women's movement, human rights, building preservation, environmental protection and a fierce opposition to laissez-faire genetic engineering. Her interest in retaining architectural fabric was not just preservationist, nor her protesting against GE Luddite: she was committed to the longer-term health of the broadest notion of the environment, socially and biologically, a holistic view allowing for no separation into 'issues'. Despite the triumph over the past two decades of commercial imperatives over community interests, Paul remained resolutely optimistic, because she knew intimately the virtues of faith and hope. In a more secure culture, this early and unwavering commitment to the margins, feminism, the global environment, and the centrality of language, as well as her inter-disciplinary approach, might have qualified Paul for honour as a pioneering Postmodemist. But this is New Zealand, and you're allowed to be good at only one thing. Being associated with a single medium implies a focus indicating a reassuring seriousness, whereas too much spread alerts the suspicion of dilettantism. A suspicion ratified by the artist's failure to buy into the usual signifiers of regard: the major show, the major publication, inclusion in the major collection. Paul was determinedly minor. She ignored the stigma, and simply got on with her work. Self-promotion - the grease of an upwardly mobile career - was anathema, her distaste for it amounting at times to actual physical revulsion. This intransigence may have imposed limitations on her life, but it did no harm to her work. For most of her life she lived close to a breadline that was as profuse in bread as a banana republic is replete with bananas. She famously 'made do', whether it was with string or lentils. Some of the dishes served up from her minimal kitchen had not been seen in the West since the sixteenth century. Not always without an element of martyrdom - especially in the '70s and '80s - this frugality was, nevertheless, carried off with a degree of dignity that humbled its friendly critics. Her life was driven by a strong set of beliefs, the idealism and single-mindedness of which often exasperated those near and dear to her. If during her life as a friend, wife and mother her extraordinary dedication to her work caused suffering in others, she was, personally, sometimes a casualty too. A complex and unforgettable human being, she came to be dearly loved by many. If her life was frugal, her work was prodigious. Paul may have had to scrimp in the kitchen, but on location and in her studio she was lavish: in her concentration, her application and her production. There was no doubt that making art was what she was here to do. As she remarked in Lands & Deeds: 'I have more certainty on the page than off it.' And if her grip on what passes for 'real life' seemed often less than sure, when it came to that page, her touch was unerring. The certainty of Paul's mission contrasts markedly with the uncertainty of the world she portrayed. It is a Cezannesque world of unstable sensations without the comforting certainties of belief and ideology. Her work implicitly rejects such frameworks, gently suggesting there is more than being alive merely in the world: being alive to the world is the sub-text to her production. This is, no less, the apogee of Paul's political activism. What she signals in her work is the exhilarating need to re-make the present in the present not relying on the dulling assumptions of established practice and received knowledge. Paul's conversation with the particulars of the physical world was often conducted in the great and potent silence of negative space-that apparent emptiness 'between' lines of text, pencil marks or wads of colour that is no less an active part in the formal dynamic than anything positively marked or made. Absence become presence. This mystical relationship mirrored the one she herself experienced with her work, and now, through that work, mirrors the one she has with us. What the apparently fragmented and seemingly unfinished components of Paul's large oeuvre indicate above all are moments of sensory registration and response, cumulatively testifying to an acute perception the visual equivalent of Proust. In this respect her work is as much one seamless project as Remembrance of Things Past, having a beginning but no end.